Extractive metallurgy: Chemical principles, self-reduction method, Carbon reduction method, electrolytic reaction method. Organic Chemistry consists of 52 hours, inorganic chemistry of 36 hours and physical chemistry of 90 hours. 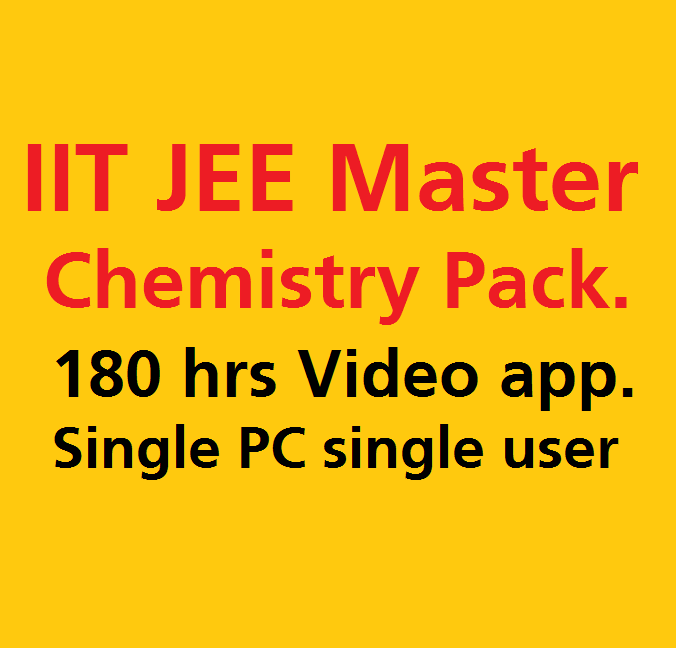 All video lectures for iit jee chemistry are of HD quality. This video covers all the basic concepts as well as elaborates all the topics with detailed examples and essential for JEE and other competitive exams. This video gives equal importance to theory as well as numerical. Having analytical knowledge is the key ingredient to crack JEE. It comes with a validity of 24 months from the date of activation and for a Single PC and one person only.